Thanks to new regulations and specialized peer-to-peer lending solutions it’s now possible to borrow money against gold and silver investments using your bullion as secure collateral. 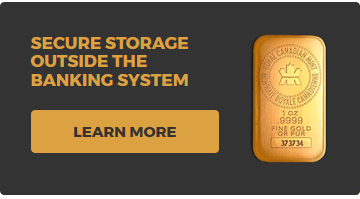 Once the preserve of HNW investors, Gold Collateral Loans allow bullion investors to access the value stored in their metals without the need to sell. Unlike cash-for-gold or pawn operations lending retail on small value deals, gold collateral loans are aimed at investment professionals, businesses or the cash-poor wealthy looking to borrow 5, 6 and even 7 figure sums against vaulted metals. Typically gold collateral loans charge very low interest rates due to minimal risks to the lender and run from 6 months to 10 years, with some lenders allowing borrowers to roll up any interest to the end of the agreement. Other companies offer a flexible line of credit using the bullion assets as collateral where the total agreed line can be drawn from or reduced throughout the length of the deal. Gold loans are typically privately funded, offered on the day of enquiry and can be completed in a few days with no details being given to credit agencies. This makes bullion loans a quick and highly discreet service – and so it’s hardly surprising that the Bullion Loans market has seen phenomenal growth among HNWs and mid to high scale bullion investors looking for cash liquidity. With the gold price rising into a new bull market, it’s expected that using bullion as collateral will see record volume, offering what is effectively free money – all thanks to annual interest payments far lower than gold’s year on year capital appreciation. 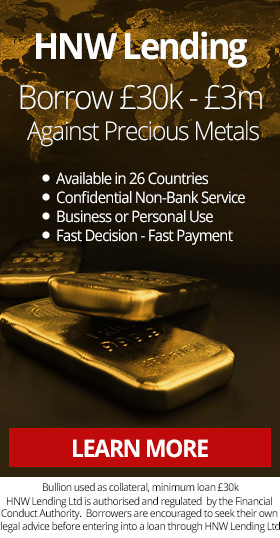 Bullion Loans whether they be Gold Collateral Loans, Silver Collateral Loans or Numismatic-based are arrangements where a lender will lend money against a borrower’s existing precious metal assets. The bullion (or numismatic coins) will be verified and valued, with the lender agreeing a Loan to Value (LTV) rate which is typically 50-70% of the total asset value. The bullion is then vaulted and insured at a third-party secure vault appointed by the lender – and for the duration of the gold loan, neither the lender nor borrower will have access to the metals, although the owner will maintain ownership. The lender holds the hard asset safe in the knowledge that in the event of a default, the metals can be sold quickly on the open market thanks to bullion being a highly liquid asset. With an LTV of 50-70%, allowance is made for any drops in the price of gold and so the lender can be sure to get back all funds with a minimum of fuss. For the borrower, overall ownership is maintained. Even though the bullion is vaulted under the control of the lender, the borrower will still enjoy all benefits from lifts in the underlying gold price during the loan period. In a market where gold averages 10-12% yearly gains, this can help offset or fully negate interest costs and fees. Another major advantage concerns tax. Without the use of a bullion loan, the gold owner would need to sell their metals to raise capital – the act of liquidating the asset for it’s full monetary value (including price gains since purchase) can trigger a tax event under capital gains tax rules. 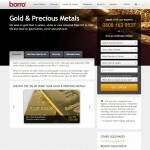 Borrowing money using bullion as collateral does not trigger a tax event as there is no sale. Selling creates an additional disadvantage: a seller would see no benefit from price gains during the time they were using the capital raised by the sale. Any rises in the price of gold would not be to the seller’s advantage and should they wish to reinvest in bullion at a later stage, they’d likely lose money on the deal – getting back in at both a higher prevailing price (as gold typically rises over time) and being on the wrong side of the dealer’s buy/sell spread. There is no need to sell the bullion to access capital. Highly confidential, outside credit and banking system. Low interest rate and charges due to low risk in underlying asset. No Capital Gains Tax trigger. Lender enjoys capital appreciation in rising market. No access to bullion during loan duration. May require moving vaulting to agreed facility. Lower Loan to Value versus outright sale. Gold price may drop below amount borrowed – although thanks to the 30-50% difference between loan sum and total value this is unlikely. Despite it’s growing popularity, borrowing against gold bullion at any scale is still a specialist market with loans being made by only a handful of global players. 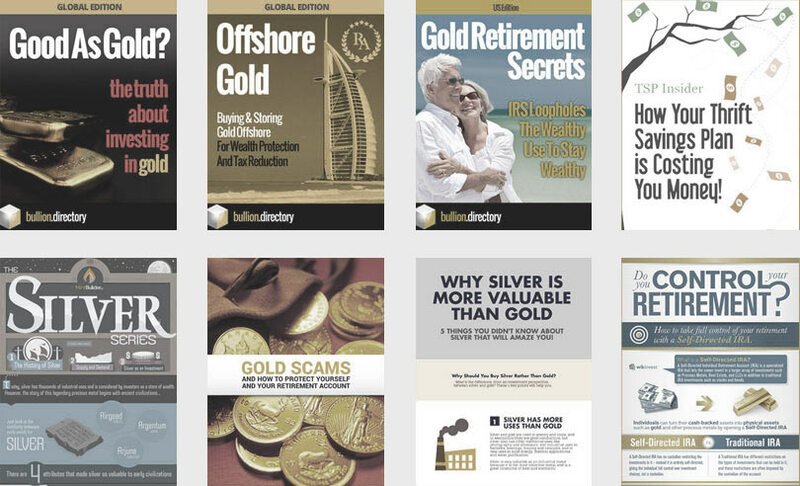 Bullion.Directory lists hundreds of cash-for-gold stores, with small-scale loans at fairly high interest rates – but when it comes to low-interest scaled loans on investment bullion, borrowers are limited to five main companies. Loan amounts are subject to strict minimums to ensure fees and interest rates can be kept low. Interest rates and loan duration are highly flexible as all bullion loans are made on a case-by-case basis. Lending Locations: Australia, Austria, Belgium, Bulgaria, Canada, Cyprus, Czech Republic, Denmark, Finland, France, Germany, Ireland, Italy, Lithuania, New Zealand, Norway, Poland, Portugal, Singapore, Slovakia (Slovak Republic), South Africa, Spain, Sweden, Switzerland, United Kingdom, United States. 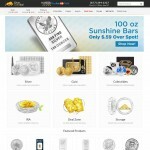 Lending Against: Gold, Silver, Platinum and Palladium Bars, Coins and Rounds, Numismatic Coins and other high value assets such as art and classic cars. Schedule: Typically loan offers are made within a few hours of a completed Application Form being received and loans are completed within as little as 1-2 days, typically 1-2 weeks of the Loan Offer being made. Schedule: Put your bullion to work without selling it. Use the cash to take a bigger position, diversify assets or for any of life’s needs. Enjoy peace of mind knowing that your loan is 100% secured. Schedule: Apply online or by phone. Assets are reviewed, and value assessed by our experts. If all criteria are met, then we will make you loan offer. If you accept the offer, we will provide you with loan proceeds within 24 hours. 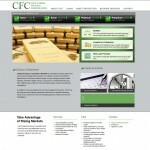 Schedule: Once collateral verified and confirmed in-vault, loan documents sent for signature. If signed loan documents received at El Segundo office by 10:30 AM Pacific Time, funds dispersed same day or an alternate date by request. 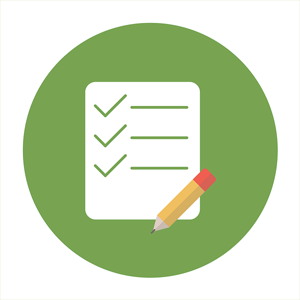 Schedule: Once a borrowing request is submitted it is listed on the P2P lending platform for potential lenders to match, remaining active until it is cancelled by you. The preference can be selected when submitting a lending offer. Bidding period is typically 1 week. Reasons for taking out gold loans are as many and varied as the reasons investors hold bullion in the first place, but they are usually arranged when the borrower believes the underlying asset will perform better than the prevailing interest rate offered. In this way the borrower leverages their assets into a liquid form for re-investment into other assets whilst holding onto the appreciating metals. Borrowing against bullion is also popular at times when precious metals are static or dropping but the investor believes they will see large future gains where if their position was liquidated, they’d miss out. Mary* holds 14 x 1kg bars of 999 gold at 10 February, 2017 and wants to borrow against her full holding to invest in cryptocurrencies. At 60% LTV loan, Mary borrows $331,722 paying 6% annual interest for 6 months with an interest roll up. Closing Spot Price of 1291.40/toz gives a total value of $581,272.05 after 6 months. Result: Mary had access to $331,722 in funds for six months and despite gold’s lacklustre performance during the period of the loan, market gains more than covered interest and fees leaving her gold account $17,201 in profit after all charges. On top of this, Mary’s cryptocurrency basket saw a 430% increase during the 6-month loan totalling $1,758,126 at the end of six months. After repaying borrowings, fees and interest charges, she took $415,204 of her cryptocurrency gains to increase her gold holdings by 290toz and kept $1,000,000 in a cryptocurrency basket. Alan* owns 125 x 100g bars of 999 gold at 13 April, 2017 and wants to borrow against his bullion to act as a bridging loan on a real estate auction purchase. After finding traditional bridging finance is either too expensive or can’t be raised quickly enough, Alan decides to use existing assets as collateral through a gold loan. At 65% LTV loan, Alan borrows $335,448 paying 6.5% annual interest for 12 months with an interest roll up. Closing Spot Price of 1343.70/toz gives a total value of $538,823.70 after 12 months. Result: Alan had use of $335,448 in capital for 12 months at a total real cost of only $549.50 – calculated after adding market gains on his gold holdings and deducting borrowing fees and interest. He used this capital to finance 50% of a joint venture land purchase. Eight months later having being granted residential planning permission the land was revalued at $1.8m and refinanced using standard development finance. The original $335,448 was rolled over to fully fund the first of 6 homes and his gold loan was repaid 4 months later on sale of the first property. Alan was able to leverage the value in his gold bullion to produce substantial gains from a property deal he would otherwise have been unable to finance. *Names and some details have been changed in these case studies. 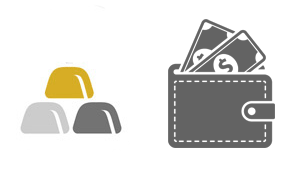 Although using bullion as collateral can provide fast, low-cost and confidential access to cash liquidity, as with any loan the borrower should have a good working plan to repay both the debt and interest to avoid increased charges or even complete loss of the metals being used as collateral. 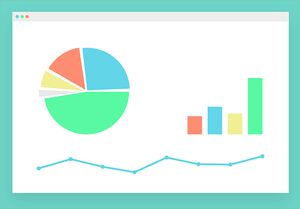 Lenders will ask what you are planning to do with the money and where appropriate will look for a basic business plan or exit strategy. If you require more capital than a borrower’s LTV will allow on your bullion – some lenders such as HNW Lending can take other high value assets as collateral in addition to your gold – items such as paintings and artwork, real estate, antiques and collectibles and even classic cars. Remember, a lower LTV can reduce both the lender’s and the borrower’s risk and can lead to lower interest charges and fees. Keeping a greater equity in your collateral will also better shield you from precious metals market downturns coming just at “the wrong time” – such as if you find yourself needing to sell some or all of the bullion to repay your loan. IMPORTANT: Bullion.Directory are not tax advisors and nothing in this article can or should be considered as tax advice. 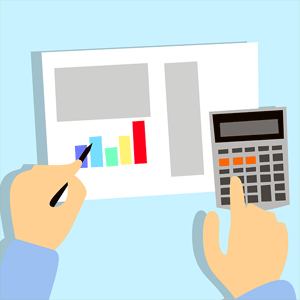 You must always seek advice from a registered tax professional before making any decisions regarding your personal tax affairs as all individual circumstances will vary and tax law is subject to near constant change. As with any debt, don’t take on more debt than you can afford to repay. Gold loans are not meant to be a long-term financial solution. If you are unable to repay your loan, the precious metals you used to secure your loan may be sold to recover the outstanding loan balance in accordance with your loan agreement. Schedule: Put your bullion to work without selling it. Use the cash to take a bigger position, diversify assets or for any of life's needs. Enjoy peace of mind knowing that your loan is 100% secured.